Nineteen per cent of the world’s top 2,500 companies now have a designated executive to lead their digital agenda, according to a new study from Strategy&, PwC’s strategy consulting business. The title attached to these executive roles vary from Head of Digital Transformation to CTO, CIO and Chief Digital Officer. 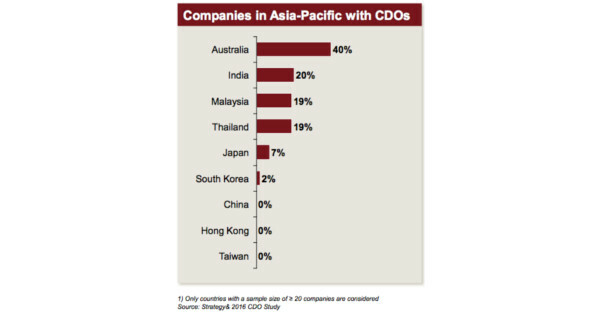 To keep things simple the study broadly refers to these execs as CDOs.